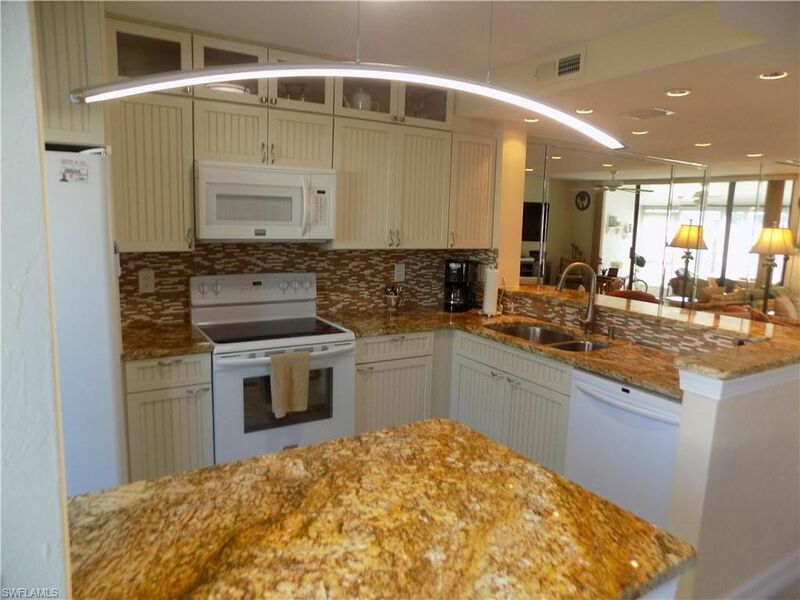 Beautifully updated TURNKEY FURNISHED 2 bed - 2 1/2 bath TOWN HOME on the best deep water canal in the Greater Fort Myers Beach area, BOARDWALK CAPER Marina Community. Imagine the joy and convenience of walking just steps to your own 14' wide X 50' BOAT SLIP (#70) INCLUDED, and in less than 10 minutes (just one mile) you're in the Gulf of Mexico...No Bridges - No Locks...great for up to 50' Sail boat or Power boat. This beautiful town home shows like a model and has a totally renovated open kitchen w/ granite counters, lovely cabinetry, large tile floors, new hurricane glass in bedrooms and kitchen sliders! It offers glassed in tiled lanai, tiled courtyard entrance, newer AC, mirror accents, upgraded lighting. BOARDWALK is a gated Boating community just one mile to Fort Myers Beach sky bridge and beaches, with 250 boat slips, on-site harbormaster, tennis and basket ball courts, 4 pools and tons of social activities! Boat trips, bocce, luncheon trips, one mile of lighted boardwalk for early morning or late night walks and beautiful sunsets!This is a beauty and the best value in Boardwalk Caper...VACANT AND READY FOR QUICK CLOSING. Call or Text for your private showing today!